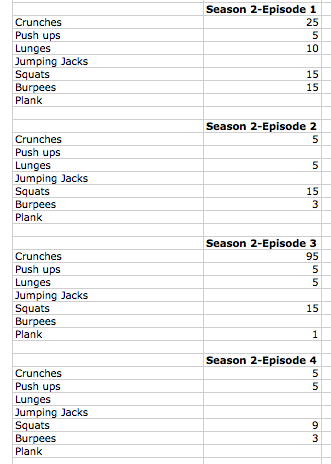 Better late than never, here's my recap of Season 2 of The Walking Dead Workout! We're about halfway through Season 3, I know...I know. The season is over, but we don't have TV so we just watch the episodes online after they've aired. This show is so intense! 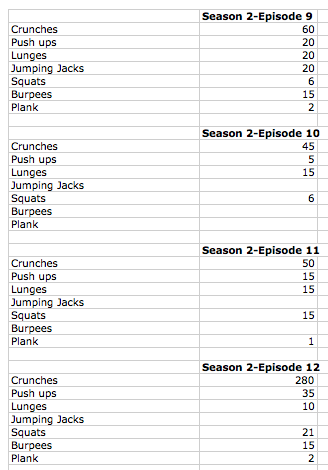 You can also find my intro to The Walking Dead Workout HERE and the complete Season 1 HERE. Just to clarify, the numbers are the TOTAL numbers of what exercise you should be doing, not how many of each thing happened. 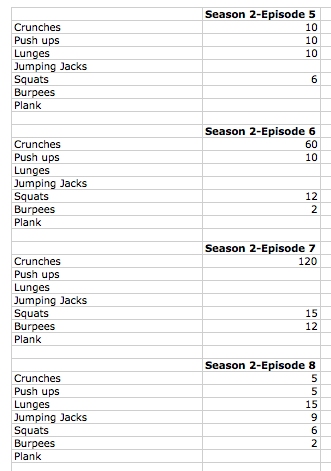 For example, in Season 2-Episode 1, you will do 25 crunches, meaning only 5 walkers were killed. Don't worry, you won't always have it so easy! Here's another quick breakdown if you're looking for more targeted workouts. I also explained more details and particulars in this post HERE about Season 1. 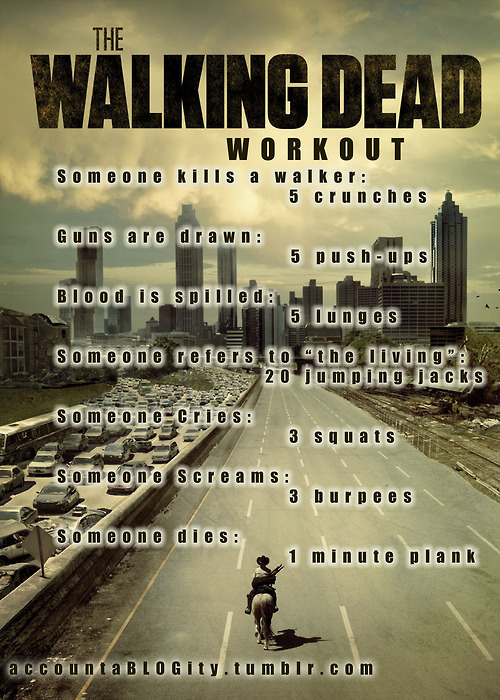 What do you think about The Walking Dead Workout? Is it something you'd try?